Upgraded Three-Story Townhome. 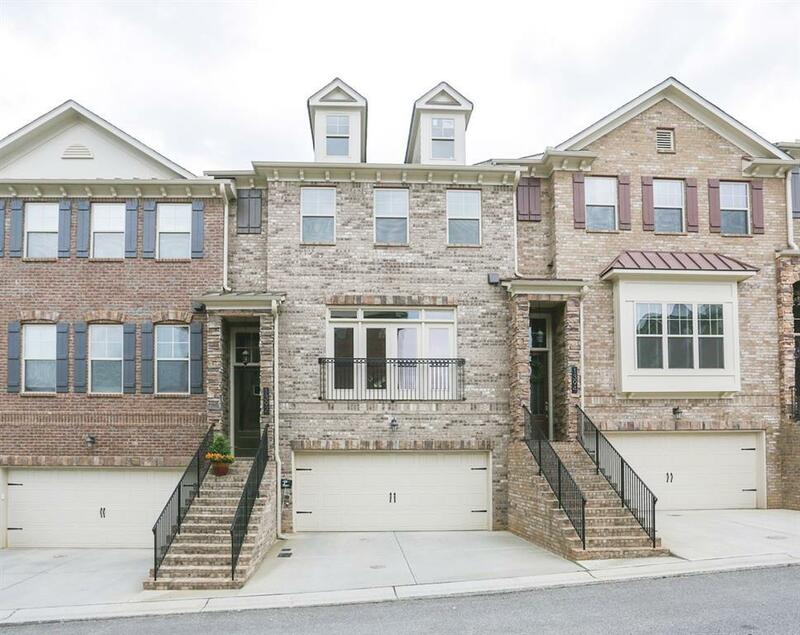 3 Beds, 3.5 Baths, Finished Terrace Level, Private Deck + Walk-Out Covered Patio, Custom Trim Throughout. Gourmet Kitchen - Granite Counters, SS Appliances, Gas Cook Top, Island, Breakfast Area. Open Living Room - Automatic Blinds, Hardwood Floors, Plantation Shutters, Dueling Built-Ins, Modern Fireplace. Master Suite - Custom Closet, Master Retreat Sitting Area, Hardwood Floors, Crown Trimmed Tray Ceiling, En-Suite - Chic Cabinetry w/ Granite Counter, Dual Vanity, Walk-In Glass Shower w/ Tile Surround. 2 Car Garage. Gated Community.